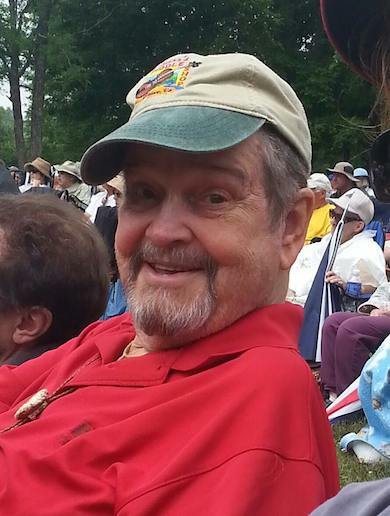 Folk-festival organizer Joe Wilson died on Sunday, May 17, at age 77. Wilson was a passionate champion of the music of his Appalachian homeland. He is best known as the director of the National Council for the Traditional Arts. He was also a sideman, a journalist, a lobbyist and a fund-raiser. Joe Wilson was a native of the community named Trade in the East Tennessee mountains. Raised in a musical family, he left home at age 17. After earning a two-year degree at Lees-McRae College in North Carolina, he hitch-hiked to Nashville. He got a job in Marty Robbins’ band and went on the road with the superstar. Then he began writing for The Progressive magazine, covering the civil-rights movement in the Deep South. He also became a fund-raiser for historically black colleges. Wilson was hired to lead the NCTA in 1976. This organization was founded in 1933, but achieved new prominence under his leadership. During his 28 years with the NCTA, he put together nearly 50 national and international tours that took mountain musicians such as Ricky Skaggs around the world. He was a mentor to the Country Music Hall of Fame’s Jay Orr and a hero to such musicians as Dudley Connell of The Seldom Scene, Sammy Shelor of the Lonesome River Band and Jerry Douglas of Allison Krauss & Union Station. Joe Wilson helped to create the Blue Ridge Music Center near Galax, VA. He wrote the text for all of its exhibits and narrated all of the video clips at the venue. The Crooked Road music-heritage trail in Virginia was also his brainchild, and he wrote a 2006 book about it. He helped to reinvigorate the National Folk Festival and came to Nashville with it in 2011. Among the performers were The Fisk Jubilee Singers, Darrell Scott, Larry Cordle, The McCrary Sisters, The Whites, Aubrey Ghent and Emmylou Harris. He wrote the liner notes for the 1988 CD that reissued the pioneering 1928-30 country records of Grayson & Whitter. The duo was the first to record the famous folk tune “Tom Dooley.” After his retirement, Wilson settled in Whitter’s hometown of Fries, VA.
Joe Wilson had been in declining health for several years. In lieu of flowers, the family suggests donations to the Blue Ridge Music Center.